How to do Martial Arts for Beginners? Editor’s note: This is a guest post from Charlie Kondek. Whatever your experience in physical fitness, if you’re considering martial arts as your next undertaking, I’ve got good news and… not bad news, more like some challenges for you to consider. The good news is the martial arts are very accessible. The challenges? The martial arts are very accessible. Finding the right one for you can be tough because there are so many to choose from and, if you’re inexperienced, you don’t know what to expect. I hope this article can provide some encouragement and direction. Let’s tackle the first item you’ll likely encounter and knock it out of the way. If you’re wondering if you have the right motive for getting involved, rest assured, there is no necessary motive. Your motive can be very specific, like, “I’ve always wanted to learn to defend myself.” It can seem silly, such as, “I’ve always loved kung fu movies.” It’s probably a combination of these things – just admit them! The simple truth is most martial arts are physical fitness regimens that come from warrior traditions of various cultural backgrounds, and the benefits of them are, besides the building of a sound body and a set of self-defense skills that you may, God willing, never use, a sound mind and the development of your character as a person. Some martial arts articulate this, some don’t, but most share these basic qualities. By the way, if you think you’re too old to start such-and-such art, most likely that’s bosh. Almost all arts are equipped to allow entry by people of any age and with any physical challenge. Don’t let age or a disability keep you from trying. Now to start narrowing down which martial art you’ll pursue. Most of them exist on a spectrum. At one end of the spectrum are those arts structured around controlled exercises, whether solo or with a partner. Picture a kung fu stylist that spends most of his training time perfecting a series of choreographed movements, or a pair of aikido practitioners drilling in set patterns of attacks, take downs and spectacular falls. At the other end of the spectrum is free play or competition. In these arts, sparring and possibly competing is the emphasis. Picture kickboxers engaged in free fisticuffs (and footsticuffs) or judo fighters trying to slam each other to the mat. Because this is a spectrum and not an either/or, many martial arts will have qualities of both, and it will be up to you to determine the right balance. You may, for example, be quite happy with a style of karate that employees the pursuit of kata (forms) as well as kumite (sparring). I’ll come back to that. The short answer is: yes! MMA – mixed martial arts or “cage fighting” – might be what you should pursue. Bear with me. Asia is a big place! But it’s not the only place. So China gave us kung fu, Japan gave us kendo and judo, Korea gave us Tae Kwon Do, and muay thai comes from Thailand. There are so many arts from all over Asia, how do you narrow down which one to study? This, honestly, is the hard part, and the only solution is to actually invest some time in learning about each of these arts through reading, watching videos, asking questions and observing classes. Fortunately, the internet is a wonderful resource. Frankly, there are no shortcuts here. Some words of advice, if I may. In the first place, go with your gut. If you’ve always wanted to practice kung fu, seek out a kung fu instructor. That touches a place in your heart and you should nourish it – martial arts are as much about your dreams as they are about other considerations. Second, a reminder: Asia isn’t the only part of the world that has martial arts. By now everyone’s heard of styles of fighting nourished in Brazil-Brazilian Jiu-Jitsu and capoeria. Consider also the oft overlooked martial arts of Europe and America – good old boxing and wrestling, French savate, Russian sambo, or others. If weapons like swordplay are your forte, consider short-listing fencing as well as kendo. And of course modern amalgamations like MMA, shootfighting, close quarter military combatives, and Israel’s krav maga provide even more choices. There’s also been a resurgence of interest in historically researched western martial arts. Keep your options open. Whatever you decide, find an instructor or coach that is legitimate. Each art you investigate will most likely have a governing body or a set of recommendations or certifications for instructors. Find out what they are and make the best choice. You’ll often run into contention, splits within the art, and differing opinions on what passes for legitimacy within an art. Get as much feedback as you can and make an informed decision. One problem you may run into quite quickly is that of location. Not all arts are available in all parts of the world. You may want to study Brazilian jiu-jitsu but quickly find that only judo is offered within your area. Consider studying judo or wrestling until as such time as BJJ instruction reveals itself, comes to your area, or you relocate. Also, refer again to the problem of legitimacy. 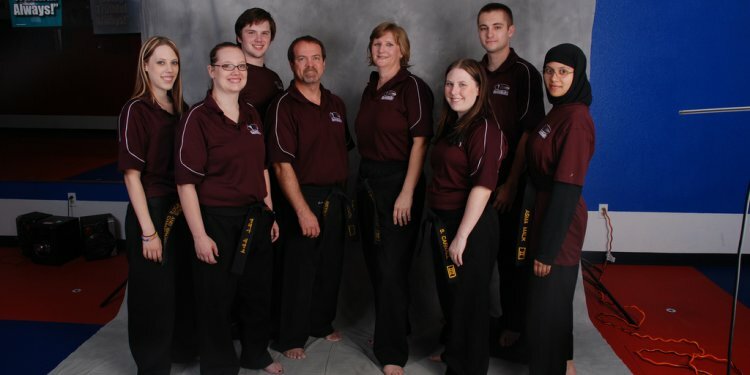 Don’t sign up with an instructor because he or she is the only game in town. There are a lot of quacks out there. Better to pass up the quack and settle for another art than to study with someone not qualified to instruct. Anyone in the martial arts who’s legit will be forthright with their credentials or lineage.